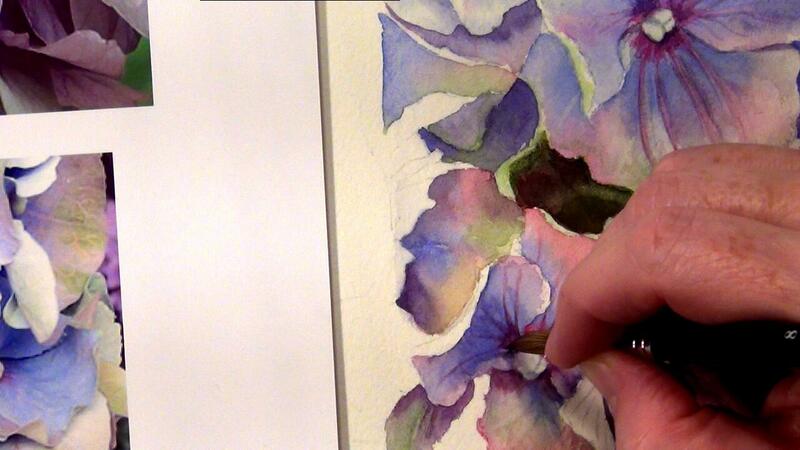 For my new Watercolor Flower DVD I added a section of Paint Instructions for Hydrangeas. 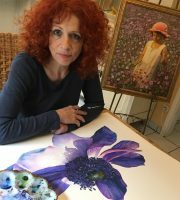 I loved especially to show how to paint the multi coloured petals of the blue hydrangea. There are areas of pink, purple, blue and green. 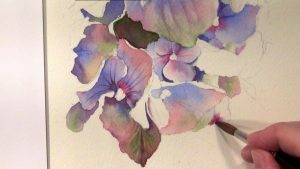 I show how to create smooth washes, how to add depth to the petals, how to get a cool blue and how to mix warmer blues so that the hydrangea looks very real. I already painted so many hydrangeas and still love to do it. I never get tired of them. Although they mean a lot of work with all those tiny petals it is always worth to spend time on them. To see how this bloom is developing on the white paper is just fantastic. This filmed section runs 1 hour and 15 minutes. 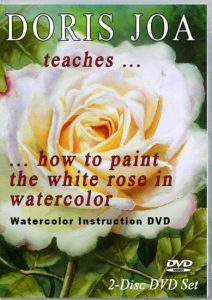 Get this Paint instruction for hydrangeas as an online video tutorial or on DVD together with the other flower lessons. I hold nothing back and show in each step what I am doing and why. 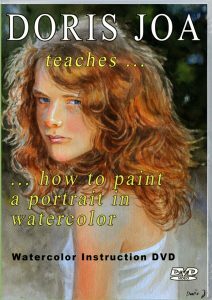 You have access to the same reference photo I am using while painting so it is easy to follow the steps I am doing. 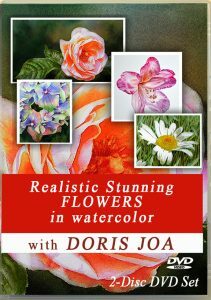 You will also get an image of the drawing and an image of my finished painting. Below is a short video preview about the paint instructions for Hydrangeas displayed. It is possible to watch it in HD, but you need to change the settings at the bottom of this video. 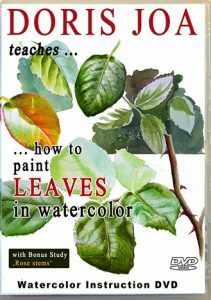 This lesson about how to paint a hydrangea in watercolor is available on the Watercolor Flower DVD or as a single lesson for viewing online. The video lessons online have been set in HD. 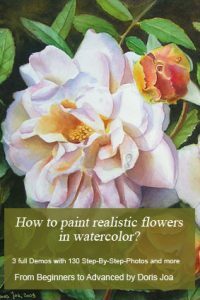 Click to get more information on individual lessons on how to paint flowers.